Latvia’s largest chocolate confectionery’s outlet store. 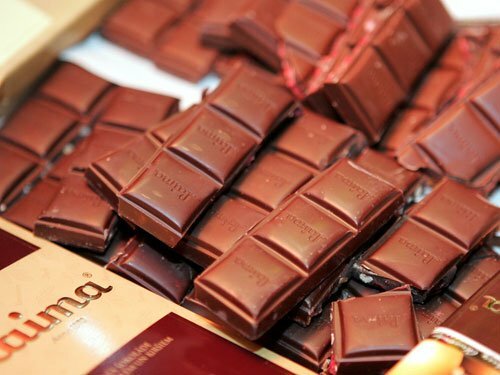 LAIMA has started offering customers its pride – a new collection of exclusive chocolate bars, consisting of four kinds of chocolate: “Dzērvene un rieksts” (Cranberry and Nut), “Tumšā mandele”(Dark Almond), “Tumšā lazda”(Dark Hazelnut) and “Piena lazda”(Milk Hazelnut). An completely new packaging design has been created for the exclusive collection and a special, eco-friendly packaging material has been used.